John has worked for the ambulance service for 30 years. He has developed clinical competencies through a range of operational, management and educational roles in the North West area. Before moving to higher education his role was divided into four areas; training, education, clinical practice and management. John joined Liverpool John Moores University in January 2009 as a Senior Lecturer. In 2011 he became the Professional Lead for the paramedic programmes within the faculty. John is now Programme Manager, forming part of the management team within the School of Nursing and Allied Health. John works closely with paramedic programmes in Finland and Canada, forging links for students and lecturers and developing research. He has led the team in developing an international paramedic programme for LJMU. John continues to practice as a clinician, completing a variety shifts as a registered paramedic. John is registered as a reviewer for the National Institute for Health Research. He is also an external expert for Bradford University and an External Examiner for Swansea University. John completes quality reviews of education and assessment within London Ambulance Service NHS Trust. 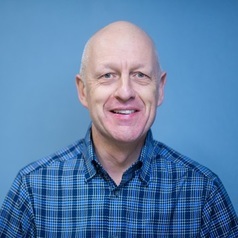 Having completed a Masters in Research John then attained Senior Fellowship with The Higher Education Academy, he is now focused on introducing research, specifically related to the paramedic profession, with a focus on education. John is currently undertaking a multi-professional research project related to Practice Education.